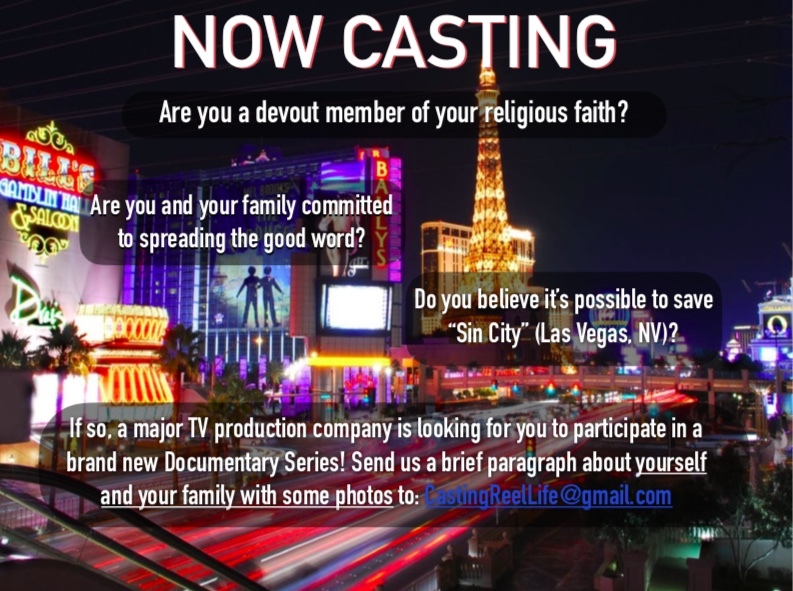 NOW CASTING A BRAND NEW DOCUMENTARY SERIES ABOUT RELIGION IN VEGAS! Are you a devout member of your religious faith? Are you and your family committed to spreading the good word any way you can? Do you believe it’s possible to save “Sin City”? If so, a major TV production company is looking for you to participate in a brand new Documentary Series! To apply, please email CastingReelLife@gmail.com a brief paragraph about you and your family, including photos– and our casting producers will reach out!